How to Make Windows Better? Make It Chocolatey! Once again, my friend and fellow Linux Journal club member Kris Occhipinti introduced me to an awesome bit of software. This time, it's an open-source project that brings Linux-like package management to Windows! Don't get me wrong; installing software on Windows isn't difficult, but it's definitely more cumbersome than with Linux. Plus, with Chocolatey, you can keep your installed packages up to date as easily as you can with Linux. There is an open-source version of Chocolatey and paid versions. With the open-source version, you can install and maintain all the community packages, which for me is plenty. Literally thousands of software packages are available to install with a simple command-line entry. And unlike Cygwin (a wonderful program as well), Chocolatey installs the same Windows applications you'd install if you downloaded the installers and went through the process on your own. Or even better, go here for more options and a chance to look at the installation script before installing. The site actually recommends looking at the installation code before running it to make sure it's safe. That doesn't make me less confident of the code, but it makes me happy to see smart security choices. So, thanks to making Windows a bit more like Linux and easing the process of keeping your software up to date, Chocolatey earns this month's Editors' Choice award. If you use Windows, head over to the website and check out this awesome system. 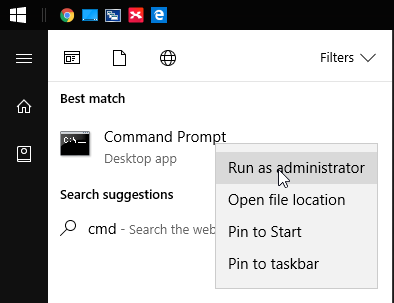 It's especially useful for brand-new Windows installs, because managing all your third-party software with a single tool is wonderful. Thanks again, Kris!